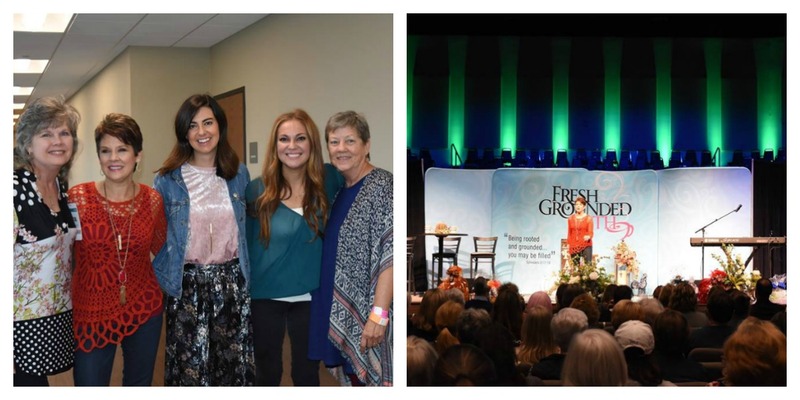 Fresh Grounded Faith St. Louis opened with the women in the worship center counting down … 5, 4, 3, 2, 1 … followed by loud cheers! They were so excited that the Lord had brought Fresh Grounded Faith to their city. We were excited too! Thank you to Ginger Kleinschnittger for the beautiful photos. To see the entire Facebook photo album, click here. For those of you who joined the photo booth fun, you can view your photos here. 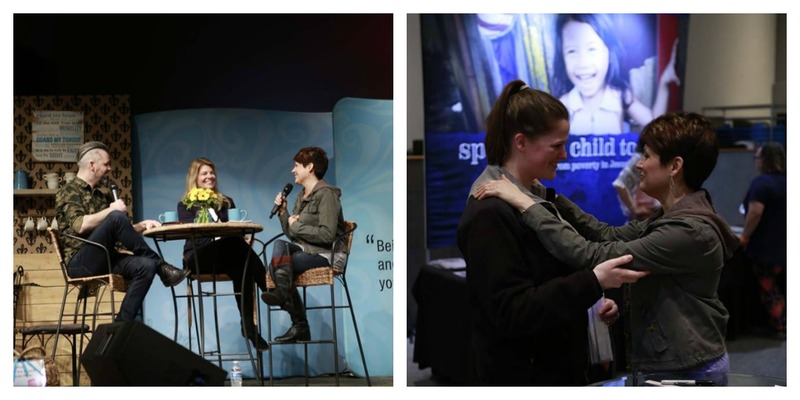 There were hundreds of reasons why we were full of anticipation—namely the hundreds of amazing women who attended! Have you ever been to Colorado in the fall? This past weekend, the Centennial State was crisp and cool and beautiful. 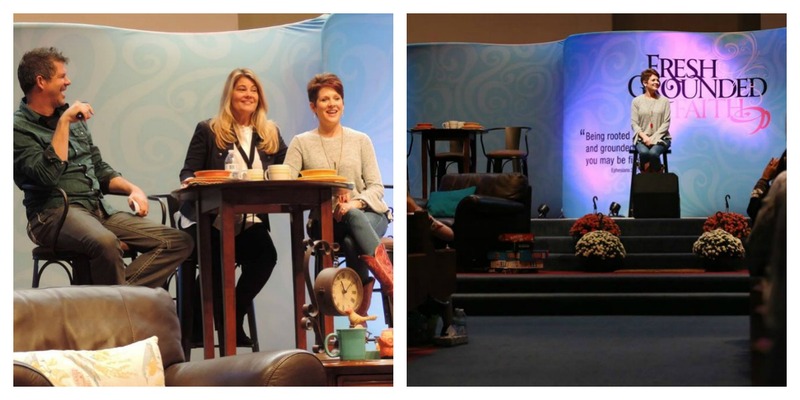 Oh, girl, it was a wonderful place for our most recent Fresh Grounded Faith women’s event! Thank you to Marianne Bauer for the beautiful photos. To see the entire Facebook photo album, click here. For those of you who joined the photo booth fun, you can view your photos here. Phil and I went in a day early so we could visit some of the local attractions. We started with Estes Park where we rode in a surrey carriage (yes, with fringe on top) and then ate at Penelope’s—what amazing burgers! 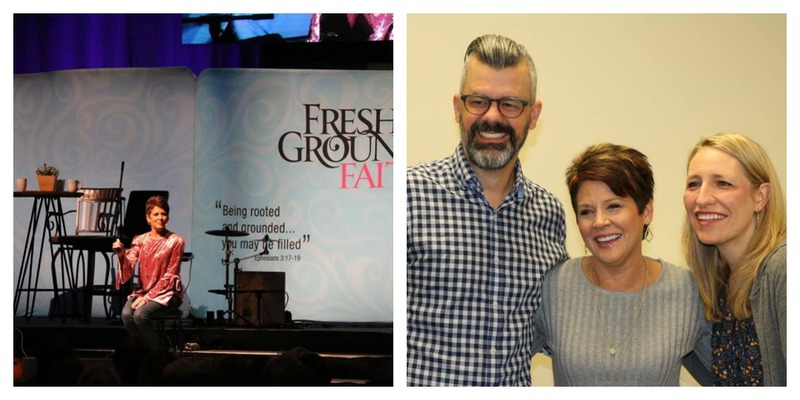 I just love when it’s Fresh Grounded Faith season! We kicked off our first event this fall in Shelbyville, Kentucky. What a great weekend full of joy! Thank you to Amy Hanlon for the beautiful photos. To see the entire Facebook photo album, click here. For those of you who joined the photo booth fun, you can view your photos here. 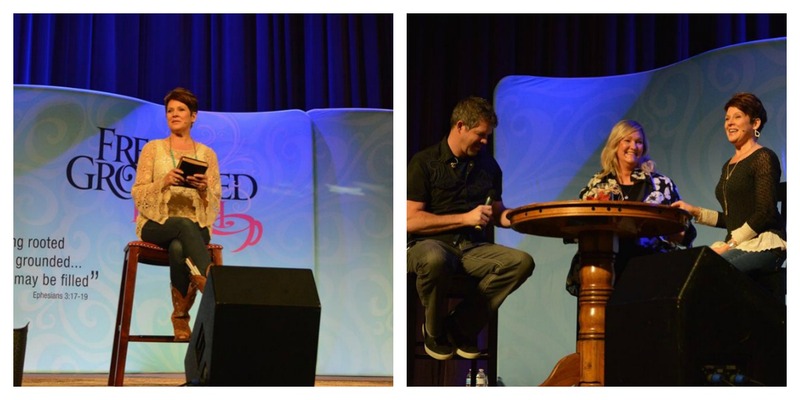 The women in Shelbyville were unshakeable! Together, we dropped our gravel strength and leaned hard on the Rock who is Christ—and you can be sure we weren’t disappointed! God did great things! Have you ever been to Seattle? Girl, it’s stunning!! We had perfect weather, ate fish and chips on the pier, visited Starbucks’ headquarters, went to Pike Place Market, rode the ferry, and … went to the dentist. Thank you to Taylor Tsvyetkov for the beautiful photos! To see the entire Facebook photo album, click here. For those of you who joined in the photo booth fun, you can access your photos here. Phil and I sat outside Pike Place Market, sipping Starbucks and nibbling on a cinnamon roll. Until one fatal bite changed everything.